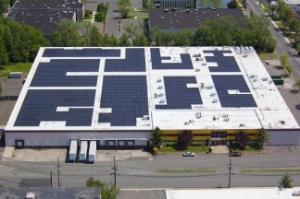 LPS Industries' new solar-panel roof generates 25 percent of the facilities' electrical needs. The Lake Forest, IL, foodservice-packaging converter said Tuesday that it will close its Owings Mills, MD; North Andover, MA; and Springfield, MO, manufacturing facilities due to improved production efficiency across its 10 other North American plants. The North Andover and Springfield facilities are expected to close in mid-to-late 2011, and the Owings Mills plant is set to close in mid 2012. The plant closings eventually will result in the elimination of more than 1,200 workers across all three sites. Solo says it will invest in its remaining locations and plans to increase employment at these facilities over the next 12 to 24 months. The specialty packaging-product manufacturer has appointed Gregory A. C. Yull as president and chief executive officer, effective immediately. Yull has spent more than two decades with Intertape, working in diverse areas of the company and assuming increasingly complex responsibilities. Also, for organizational effectiveness, Intertape’s two divisions, which have many customers in common, will now be integrated into one unit. Labelexpo Technology Workshops—Four working presses from Nilpeter (HD Flexo), EFI (inkjet), HP (liquid toner) and Xeikon (powder toner) aim to show attendees how to set up and run each narrow-web label press, whether conventional or digital printing, to optimize label print performance and quality. Beyond Labels—Dedicated to print and packaging processes, which are opportunities for the label converter, beyond the label. Exhibitors will demo combined package printing, flexible packaging and medical products. The Conference—Organized in collaboration with TLMI, the program will cover new digital technologies and solutions, branding, color management, brand protection, inkjet printing, flexible-packaging opportunities, and the sustainable supply chain, among other topics. “How to” Digital Label Printing Masterclass—To be taught by industry expert Mike Fairley, the three-hour course encompasses the current state-of-the-art in digital printing, a review and explanation of main digital-printing technologies, digital prepress/workflow and color management, label substrate requirements, and in-line/off-line finishing options. The El Segundo, CA-based maker of sustainable plastics says it expects to ship about 16 million lbs of its proprietary bioplastic resins to customers this year—a 400-percent increase over 2009. The company recently opened a new state-of-the-art production facility in Seymour, IN. This entry was posted in coating/laminating, digital printing, flexible packaging, labels, sustainability and tagged bioplastics, converting, digital, flexible packaging, flexography, Labelexpo, labels, packaging, plastic film, printing, unemployment. Bookmark the permalink.